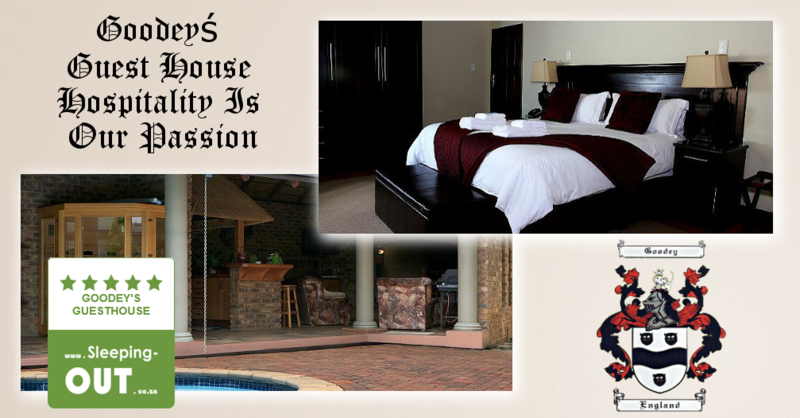 Just like the Goodey family name was derived from the old English phrase “dweller at the good enclosure”, John & Hantie Goodey of Goodey's Guest House extend a warm welcome to all visitors, tourists, business people and diplomats alike to be a contented dweller in our good enclosure! 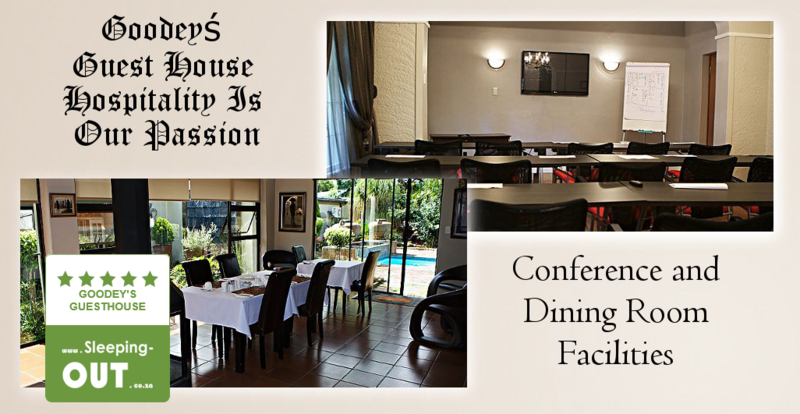 Come and relax in our completely renovated art deco styled guest house and enjoy our hospitality. 232 Boom St, Daspoort 319-Jr, Pretoria The National Zoological Gardens of South Africa is the largest zoo in the country and the only one with national status. An Aquarium and Reptile Park also form part of the Zoo facility in Pretoria. 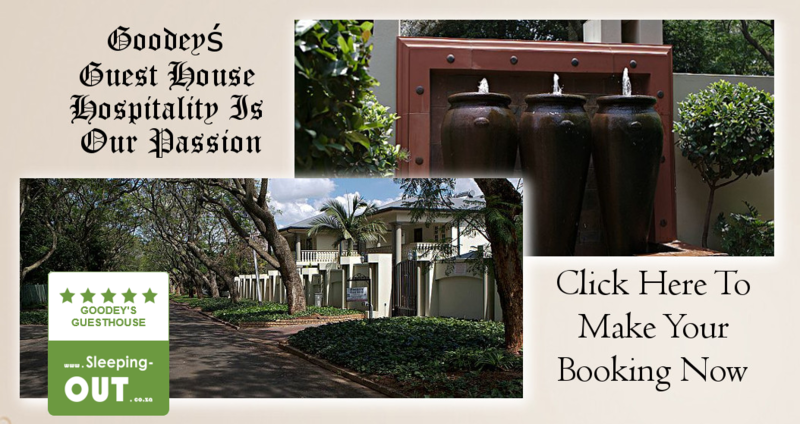 2 Cussonia Ave, Brummeria, Pretoria, 0186 This 76-ha urban oasis is a pristine getaway situated in the eastern suburbs of South Africa's administrative capital, Pretoria. pubs, restaurants and shopping centers. Nine well-equipped stylish bedrooms (of which four are self-catering) boasts a modern bathroom, private balcony or verandah and finely decorated furniture. Separate air-conditioned conference room which seats up to 16 delegates. Two well-equipped bars with excellent wines. Lapa with barbeque facilities & gas braai. we have our own generator!